of sharing stories creates understanding and insight. Diversity is reality. maybe a secret forum as a base, it is possible to investigate places by collecting stories, dreams and hopes from those who are familiar with them. 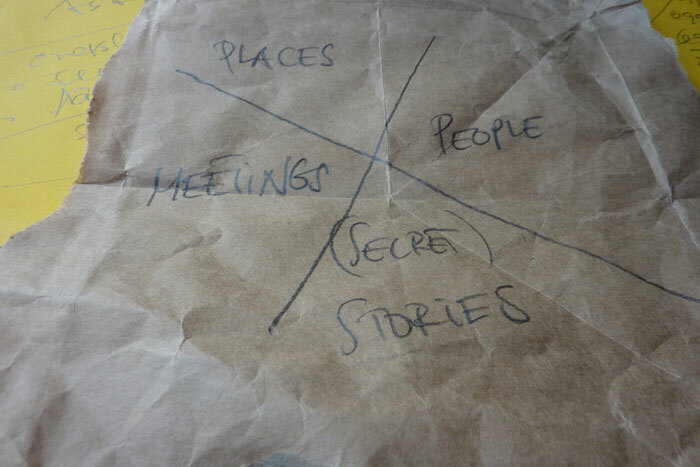 When people visit the secret forum, something magical happens: Through the exchange of stories we get to know each other and each otherâ€™s lives. The rooms create the setting for exchange and becomes a secret island of intimacy where the guests can generously share their lives. and I am looking for that meaning. Searching Secret Stories was part of Metropolis in 2007 and 2008. Metropolis is KITâ€™s â€“ KÃ¸benhavns Internationale Teaters (Copenhagen International Theatre) â€“ festival for urban art and culture in the city space.